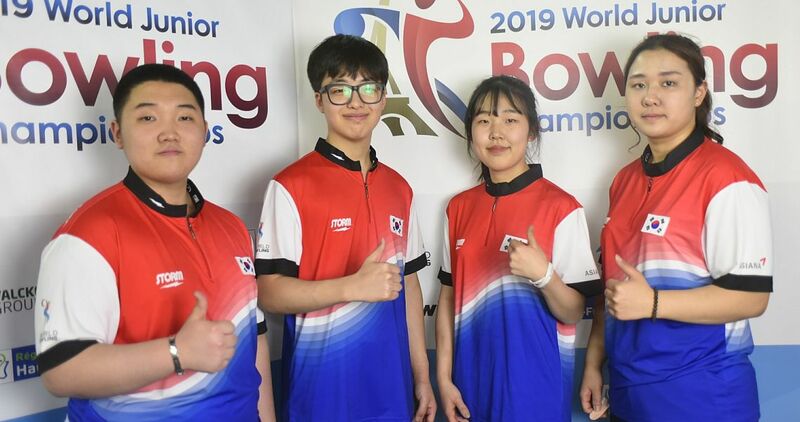 All three squad leaders in Thursday’s qualifying squads 11, 12 and 13 cracked the top 10 in the overall standings of the Rome Open All4bowling at Brunswick Bowling in Rome, Italy. 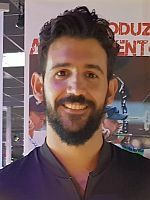 Vasilis Stefopoulos (featured photo) of Greece rollercoastered his way to the top of the squad 11 leaderboard behind games of 171, 254, 169, 248, 207 and 205. His 1254 pinfall total, an average of 1254, catapulted Stefopoulos into second place in the standings. 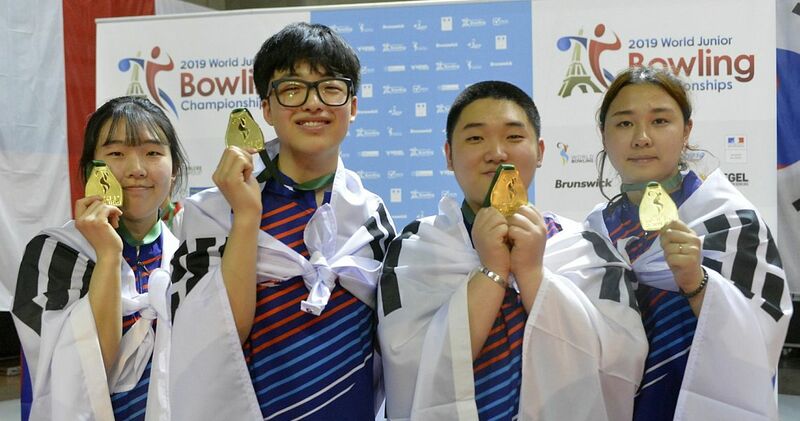 Gaëtan Mouveroux (left) of France continued to lead the 266-player field from 15 countries with 1345 and an average of 224.17, more than 15 pins per game better than his nearest competitor. 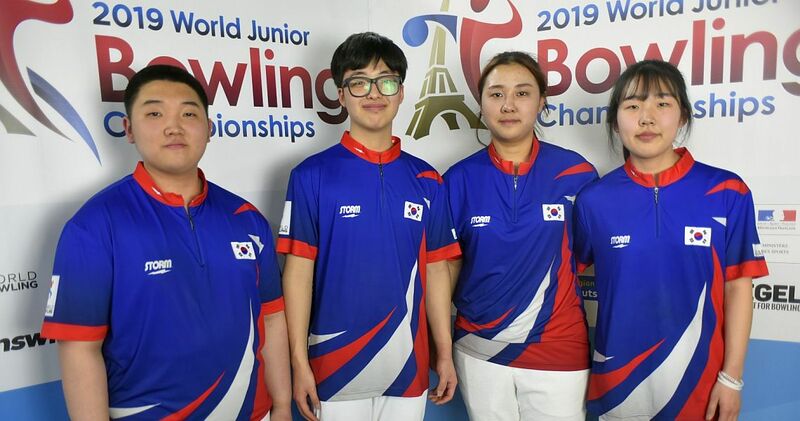 After a slow start into squad 13, Mauro Anastasi (right) of Malta rebounded with 257, 225 and 224 and closed with 181 to move into third place with 1244 (207.33). Italians Andrea Moro, Ricky Diaz, both 1235 and Piearpaolo De Filippi (1231) fell two spots to fourth to sixth place. Stefopoulos’ fellow countryman Giannis Stathatos (left) was second in squad 11 with 1213 to finish the sixth day of qualifying in seventh place. 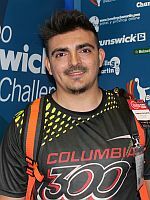 Rounding out the top 8, who will receive three byes for Sunday’s finals, was Ardemio Chiarvesio of Italy with 1212. 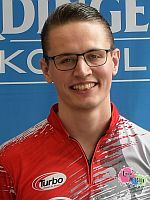 Squad 12 leader Ramon Hilferink (right) missed top 8 by just one pin as the Dutch national team member chalked up 1211, good for ninth place overall. Only the top 9 have surpassed the 1200-mark (200 average) so far. 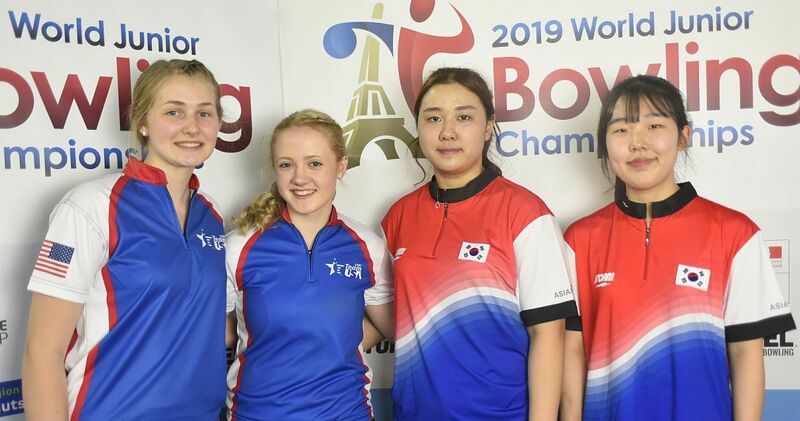 Annalisa Balzano (left) of Italy remained the best of 43 women in the field in 22nd place with 1172, including eight pins handicap per game. 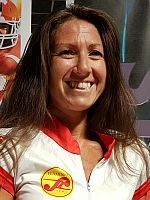 Other women above the cut line were Mariana Meteksinova of Bulgaria (27th, 1114) and Adile Michajlow of Turkey (28th, 1111). 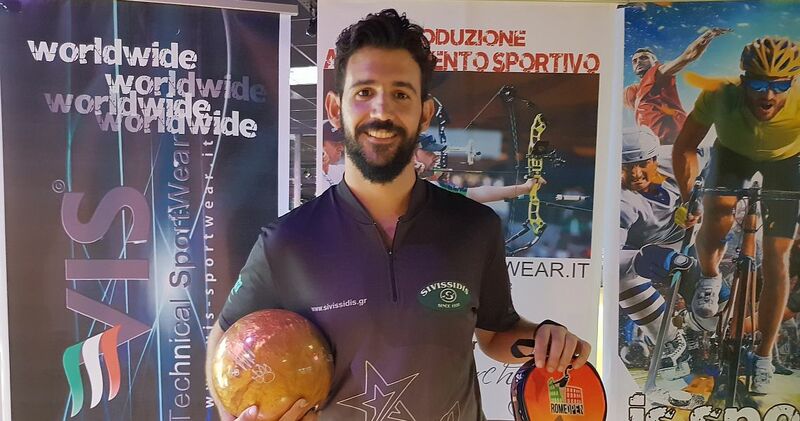 With six more squads to come, three each on Friday and Saturday, Aldo Lo Palco of Italy holds the 32nd and last place to advance from the overall qualifying standings with 1154 and an average of 192.33. Qualifying continues on Friday, September 14, with squads 14, 15 & 16 scheduled to start at 9 a.m., 1 and 5 p.m. Central European Summer Time (CEST). 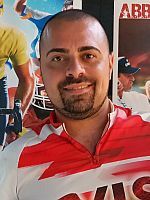 The Rome Open All4bowling, formerly known as Roma International in 2010 and 2011, is the 11th and penultimate stop of the 2018 season and the third of three EBT “Satellite” tournaments this season, the lowest of the five EBT categories (satellite, bronze, silver, gold and platinum). 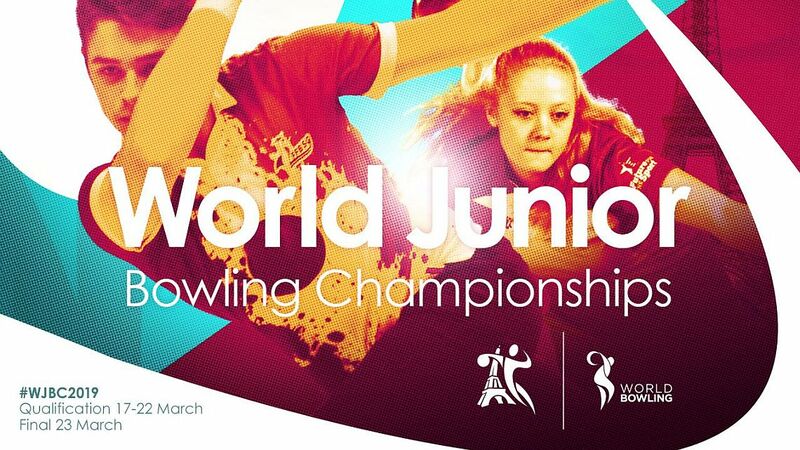 The tournament will be held from September 8-16 at 24-lane Brunswick Bowling in Rome, Italy. 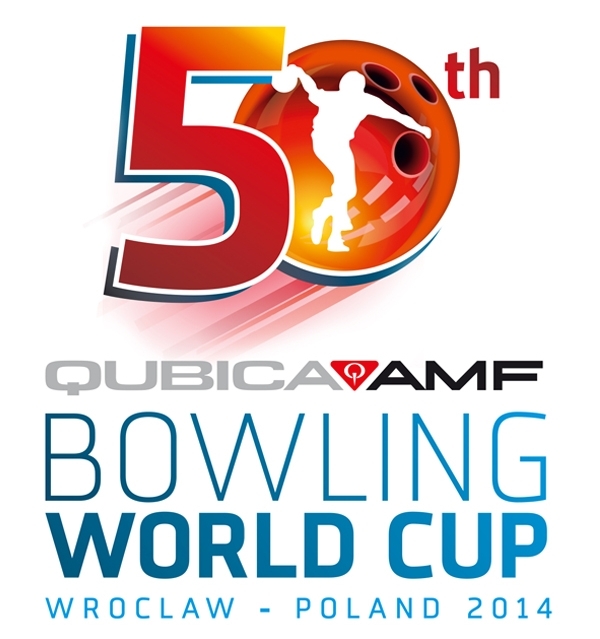 Players compete for total prize money of 25.200 Euro with 4.500 Euro going to the winner, 2.500 Euro to the runner-up and 1.200 Euro apiece to the third and fourth place finishers. Low to cash is 44th place worth 250 Euro. In addition to the regular prize fund, there is a so called “300 Jackpot” competition – for anybody without an additional fee – which includes all games played in qualifying and Desperado Squad. 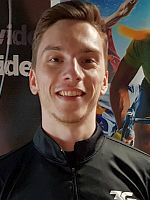 At stake is a 2.000 Euro prize for the athlete with the lone perfect game or, if there is more than one perfecto, for the athlete who is highest ranked in the overall qualifying standings among those who achieved perfection. 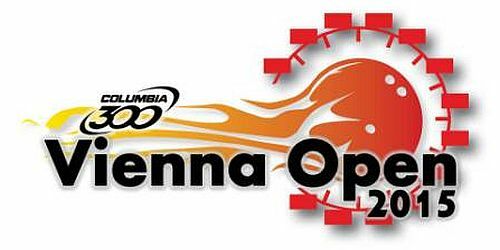 Qualifying (six games, unlimited re-entries) gets underway on Saturday, September 8, and concludes Saturday, Sept. 15 at 4 p.m. Central European Summer Time (CEST) with squad 19, followed by the one-game Desperado Squad scheduled to start a 7.30 p.m.
Women receive 8 pins handicap each game, an equality handicap provided to women in all EBT events. Maximum score is 300. Total 44 players, including the top 32, the top three players from squads 1-4 and the top five from squads 5-10 who are not among the top 32, plus the top 4 of the Desperado Squad, advance to the finals on Sunday, September 16. 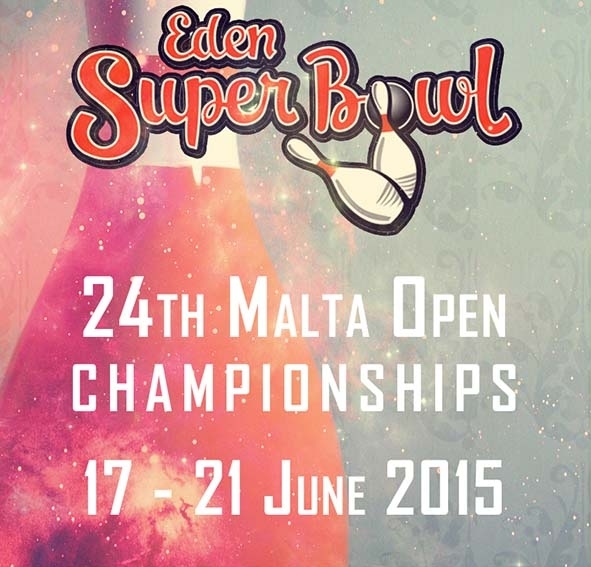 Qualifiers 1-8 earn three byes, qualifiers 9-16 receive two byes and qualifiers 17-24 get a first-round bye. The remaining 20 players advance to the first of four three-game rounds which will trim the field to 32, 24, 18 and then eight players. The remaining eight players will determine the champion in four one-game rounds. Top 32 qualifiers, the top three players from squads 1-4 and the top five players from squads 5-10 who are not among the top 32, plus the top 4 of the Desperado Squad advance to the finals on Sunday, September 16.